"Libraries are...essential to the functioning of a democratic society...libraries are the great symbols of the freedom of the mind." 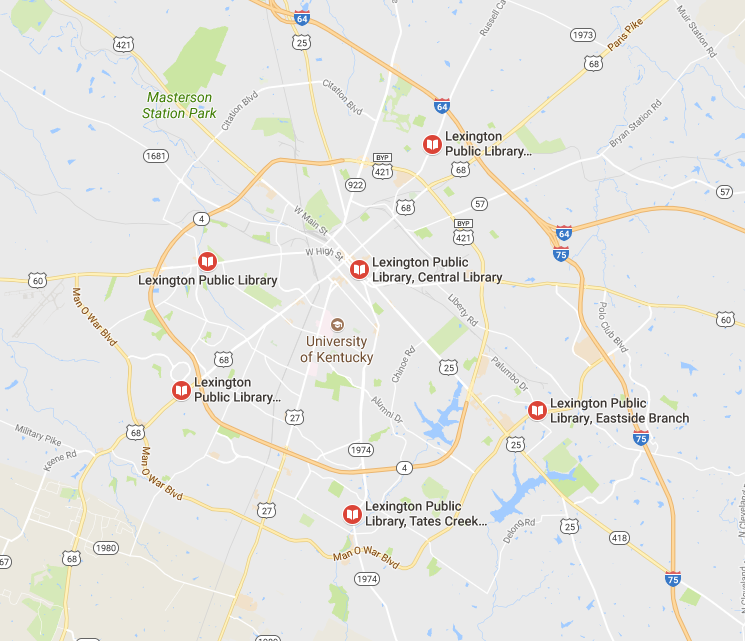 The Lexington Public Library serves a merged city-county jurisdiction of 300,000+ people through a central library, 5 neighborhood branches, an active Outreach department, and rapidly expanding virtual services. In addition to traditional library services, we support a digital studio with a full array of video and audio editing equipment for customer use; an art gallery; state of the art theater for live performances, movies, and presentations; a job lab where customers can get personalized help with resumes and job applications; a bilingual homework help program; a library YouTube channel; and a "Book a Librarian" program for customers who need in-depth research assistance, reader’s advisory, or help with their digital devices. Whatever your age or interest, you can expand your horizons and exercise your brain by visiting the "people's university" – your local public library. Here you will find resources, programs, and experts to help you explore any topic you desire. Lexington Public Library is ready to welcome you! Lexington Public Library connects people, inspires ideas, and transforms lives. Excellence: We don’t just help you. We make your day better. Equality: We treat you with fairness and respect. Integrity: We work to earn your trust and honor our heritage. Stewardship: We care for the library that you entrust to us. Passion: We love Lexington, we love what we do, and want you to know it.